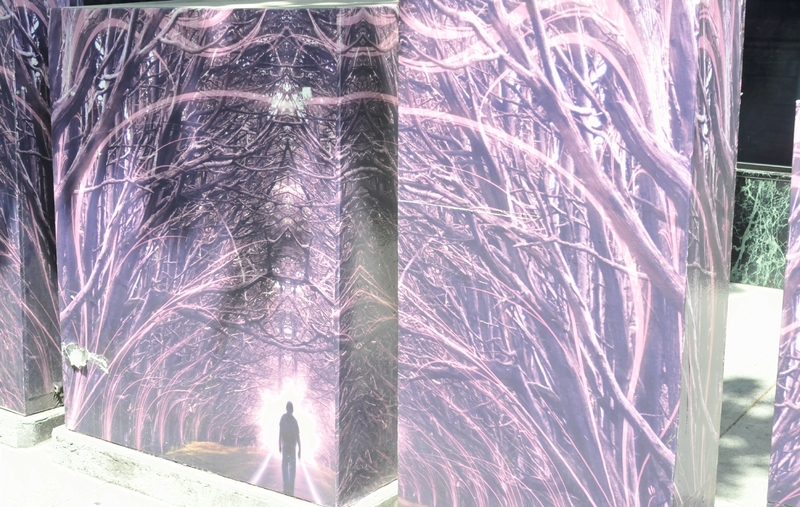 The art depicted a person alone walking through a tall, dark, and foreboding forest. Light at the end of the forest cast the person into silhouette. 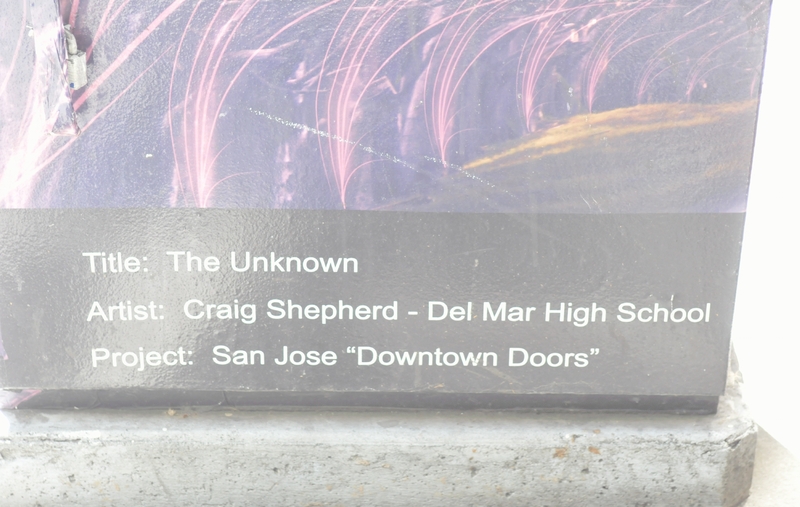 No Parking signs nearby spoiled the effect of the art. 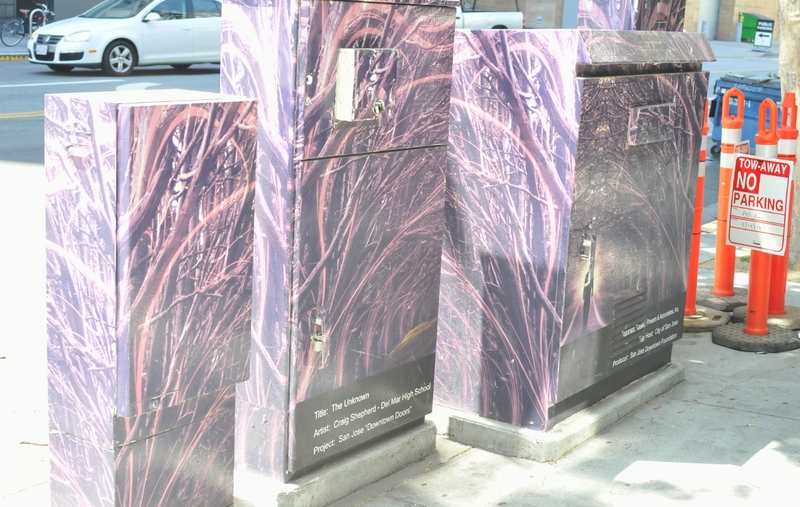 The art had been applied to four utility boxes on San Fernando Street near to First Street in downtown San Jose, California. 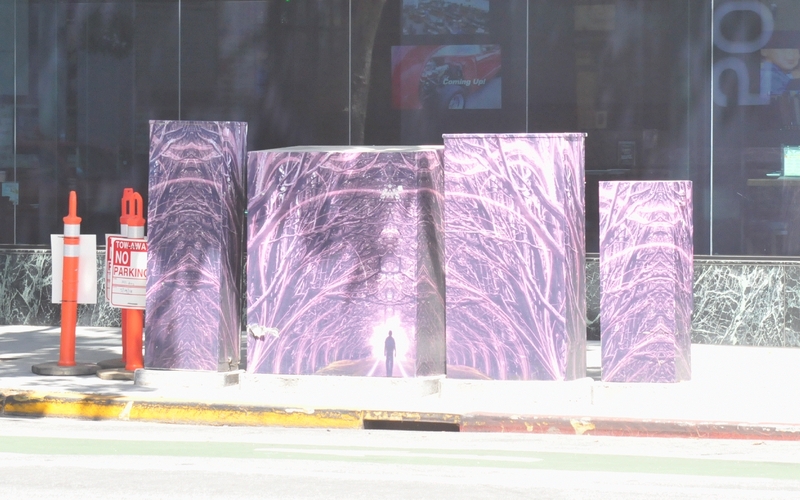 The Lavender color made them stand out from their surroundings. 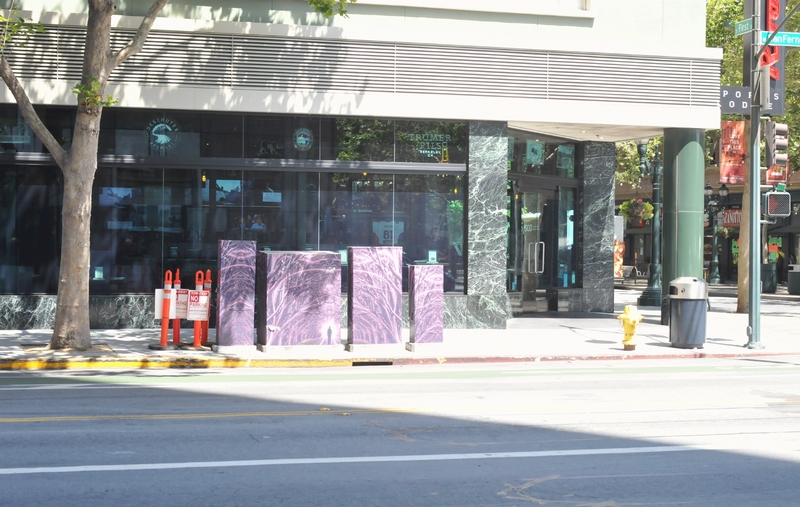 Project: San Jose "Downtown Doors"
The view of the three boxes as seen from the sidewalk looking out at traffic. A close look at the person walking through the dark, foreboding forest.